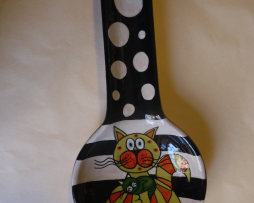 Ladle rest with black and white decorations. 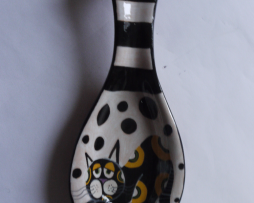 Ladle rests with kittens decoration. 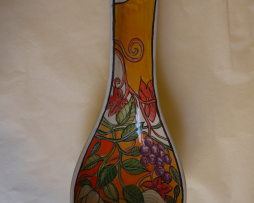 Ladle rest with floral decoration. 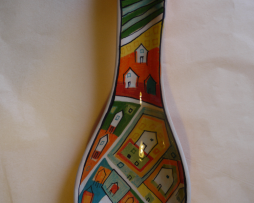 Ladle rest with interior decoration.